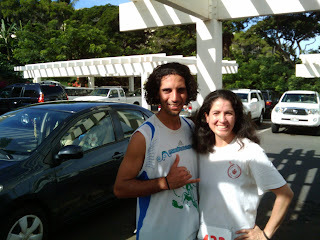 On Saturday, November 5th I participated in the Day of Hope 5k in Wailea starting at the Four Seasons Hotel and Resort. 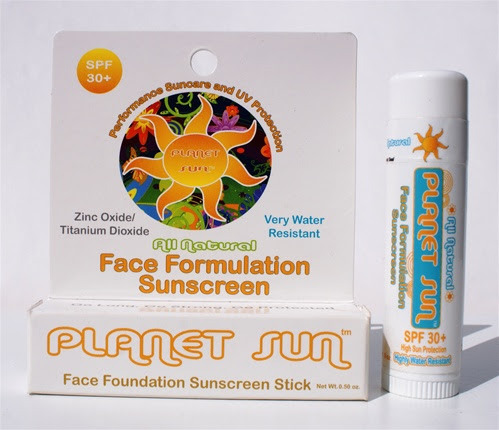 When we were driving down to the race I put on Planet Sun Face Formulation Sunscreen, about 1 hour prior to the start of the race at 7:00. Yesterday the UV index was moderate, and beating down. After the race before going in for a swim in the ocean I put on some more sunscreen, and felt great about being in the sun until 10:00. I have been learning a lot about Planet Sun for the last several months, training to become the representative of the company along with Matt on the island of Maui. As a result I have been using the Face Formulation Sunscreen on a daily basis while riding my bike, and working out side every afternoon for up to three hours in the sun. A little goes a long way, and is easy to spread. Get some of the good stuff, click here to buy now. ...when checking out with your purchase. Hit refresh in the shopping cart to receive your discount. You will see the term, "Friends of Planet Sun Discount". I know you will like this and the other sun care products from the wellness company Planet Sun.